Pumps are arguably the most widely manufactured piece of machinery in the world and find use in many home appliances, cars, industry and of course to supply water. In construction and infrastructure development, pumps find use in draining flooded construction sites, in boreholes and in water reticulation. The selection of a pump always depends on very many factors. There are many different water pumps for several applications available. There is the need for a buyer to know that machines are also manufactured hence when purchasing, they should focus on that which will meet their need so as to cut out costs on future damages. Grundfos is the world’s leading pump manufacturers with over 16 000 employees and annual production of more than 16 million pump units a year. They have a mix of the submersible borehole pumps which we are known for to the vertical multistage, water booster’s pumps, waste water pumps, fire pumps for all specifications including the EN 12845 and the NFPA 20 Ul/FM approved, the solar powered surface and borehole pumps and the newly introduced water ATM otherwise known as the GrundfosAqtap. ETEC is one the leading pumps manufacturing company established in the late 1980s with technical innovation in manufacturing high volume pumps, and the subsequent breakdown of technological paradigms. Since the origins of the company, ETEC has maintained a synonymous of innovation, hydraulic efficiency and reliability.Such is its strength that having ETEC pumps is almost an obligation in the aquaculture market. The presence of ETEC pumps has been strengthening and growing into other market segments such as: flood control in urban and agricultural areas, irrigation districts, aqueducts and industrial applications. The company has made every effort to ensure the efficiency and appropriate handling of large volumes of water through providing long-lasting and efficient engineering solutions while also maintaining unmatchable efficiency levels even when operating under the toughest conditions. The presence of ETEC pumps has been strengthening and growing into other market segments such as: flood control in urban and agricultural areas, irrigation districts, aqueducts and industrial applications. 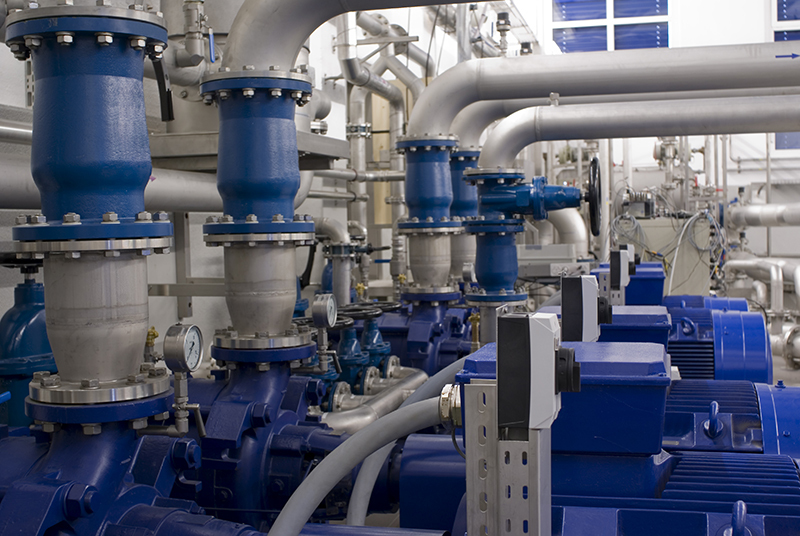 ETEC assists every user of its pumps in a step-by-step process to implement the right design for the pump station and complementary constructions to guarantee the best performance of the system.The company has the ability to design “custom made” packages, starting with civil works, to the final conception of equipment adapted to unique and special operating conditions. Vossche has been a leading pump manufacturer in the world for over 30 years offering different products for different applications with its headquarters in Texas, USA where they have research, development and design facilities, as well as manufacturing facilities. The company’s, main products include; Centrifugal pumps, deep well pumps, submersible pumps, sewage pumps and circulation pumps, ranging from 0.5kW to 200kW consumption. Their pumps are designed for domestic transfer and booster, wastewater and sewage, irrigation and agriculture, fountain and water feature, fire protection and swimming pool applications. The company produces over 2 million pump sets every year under 12 major categories with more than 2,000 specific models.As such, all their products undergo comprehensive production and operational testing to ensure that they adhere to the high standards they have set for themselves. The company has also dedicate a huge amount of time and resources towards research, development and innovation to discover new and better models, applications and methods of production to continue adding value for clients. Established in 1834 in Winterthur, Switzerland, Sulzer is a global industry leader with reliable and sustainable solutions for the oil and gas, power, water, and the general industry markets. The Company has maintained a core in flow control and applicators, specializing in pumping solutions, services for rotating equipment, and separation, mixing and application technology and developing a reliable, fast, and trusted partner for its customers.